Davin de Kergommeaux, Canadian Whisky expert at the Legion, Ridgeway on Saturday, June 4th. 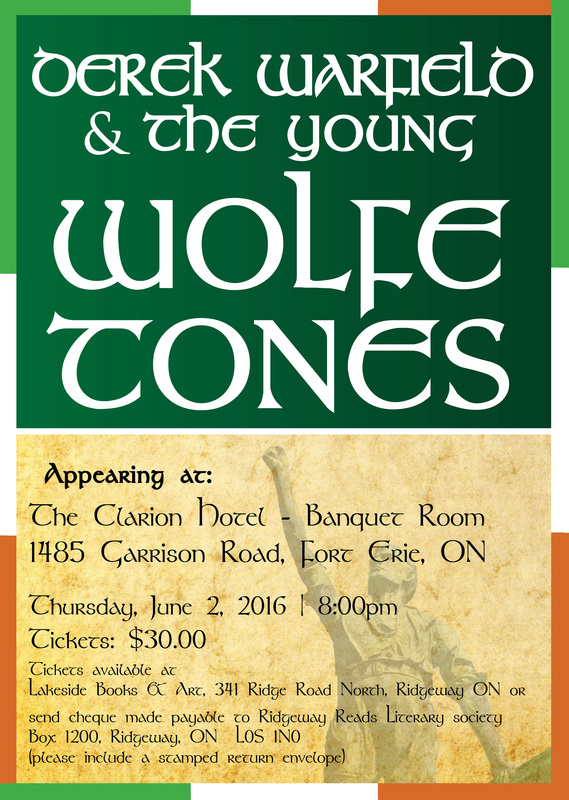 PLEASE JOIN US FOR A BIT OF ELEGANCE ON FRIDAY EVENING, JUNE 3RD IN THE BALLROOM OF THE CLARION HOTEL. 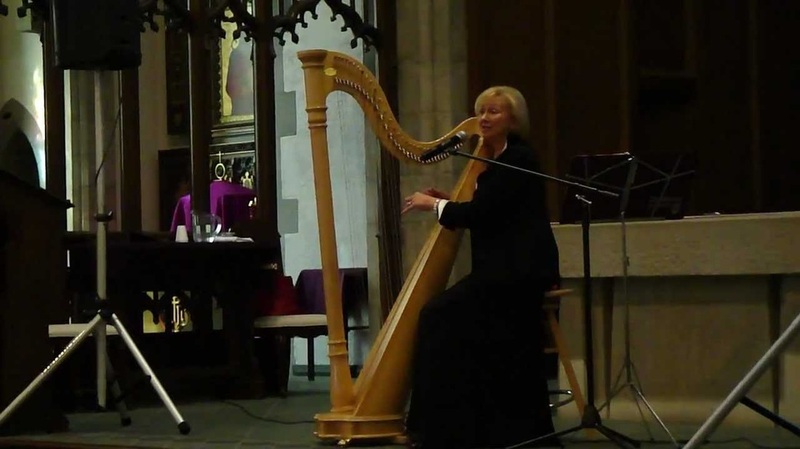 READING AND DISCUSSION BY CANADIAN AND IRISH LITERARY GREATS WILL BE ACCOMPANIED BY THE BEAUTIFUL HARP AND VOCAL MUSIC OF IRISH CANADIAN EITHNE HEFFERNAN. DELICIOUS REFRESHMENTS ARE INCLUDED IN THE TICKET PRICE. 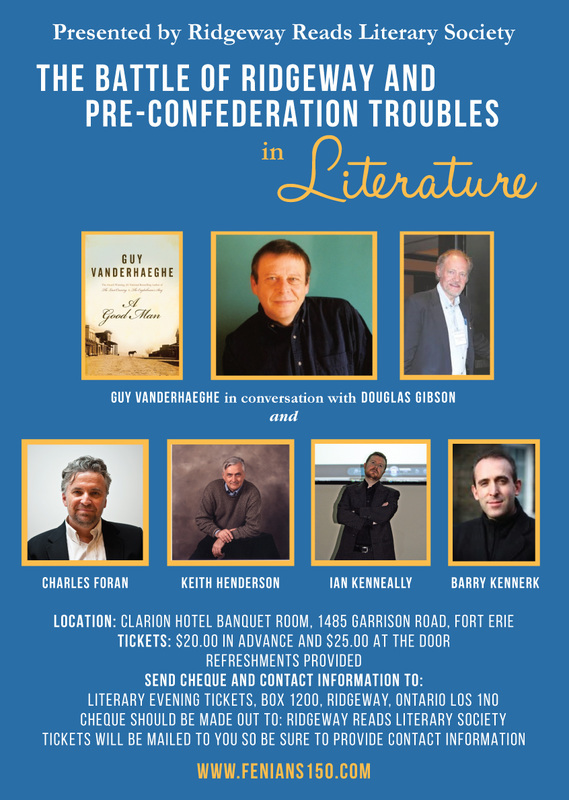 CONGRATULATIONS to Guy Vanderhaeghe, the Winner of this year's Governor General's Literary Award for Fiction for "Daddy Lenin".